Today we’d like to introduce you to Margaret Scatchell. Margaret, please share your story with us. How did you get to where you are today? I opened the first center in September 1986. After checking out daycare centers for my young daughter and not being very impressed with what was offered, I decided to go to school for Early Childhood and open my own center. Having no business background, it was quite a learning experience. I opened the second center in 1995. We are a friendly, neighborhood, affordable daycare center and we offer a quality program. I am happy to say that both centers are going strong 31 years later. 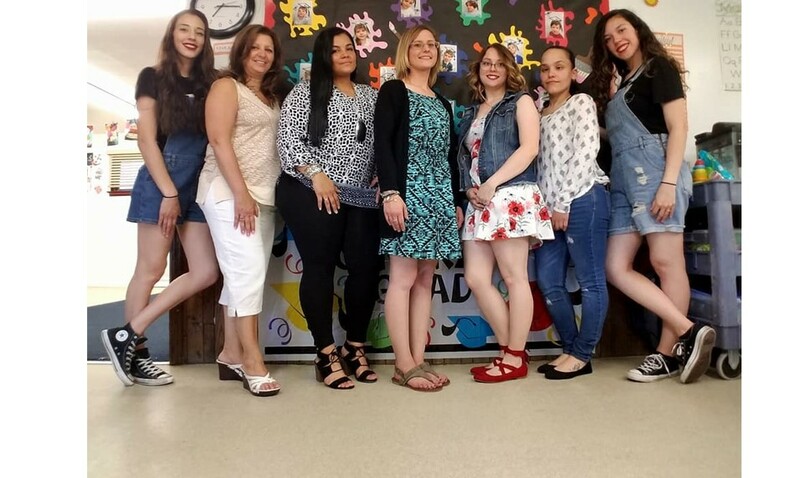 Many of our previous children have come back to teach at Care-A-Lot, many have brought their children to our center years after they themselves graduated out. We are well known in the neighborhood and our reputation is solid. Since many tend to stay in this neighborhood after they have grown and entered the work force, we get a chance to see our alumni on a regular basis. It is such a pleasure to be a witness to that 3-year-old personality – 20 years later! Opening the centers was a struggle. We had to bone up on State of Illinois DCFS and City of Chicago rules and regulations. They are stringent and it was a definite learning process. All teachers and directors complete at least 20 hours of Early Childhood training classes per year so that we stay up on the most current Early Childhood beliefs, theories and strategies. The heart of our center is our staff. Teachers and Directors go through an intense interview process and background check. I would say that the most important part of my job is to make sure that the staff are people who enjoy the time they spend with the children, are willing to work as a team and be creative and patient in the classroom, as well as sensitive to the children’s needs. Needless to say, only those that can meet these requirements will find a lasting position at Care-A-Lot. Finding, hiring and keeping outstanding staff is one of our biggest challenges. On average, our teachers have 17 years of experience at Care-A-Lot. We are proud of this! Please tell us about Care-A-Lot Early Learning Centers. We have become your friendly, neighborhood daycare center. We are not a huge operation, but we are a community centered center. Our reputation is solid in the neighborhood and because we have been there for 31 years, under the same management, we are trusted. That is most important. Another thing that sets us apart is that our tuition rates are consistently lower than other centers. We care about the families enrolled at our center and try to keep tuition reasonable so it doesn’t become a hardship. Nothing! I am very happy with the centers and with the fact that we have met and come to know so many neighborhood families. I myself grew up in this neighborhood, so I was happy to continue growing here. I raised my children here and have come to know so many special families through the center. I wish I had found Care-A-Lot sooner than I did. Both my children attended a different institution before Care-A-Lot. It was more expensive and my children didn’t learn half as much as they have learn while attending Care-A-Lot. The thing that consistently surprises me about Care-A-Lot is how much the teachers go above and beyond what you expect. From class parties, to teaching the Pre-K group how to write and basic math. You will not be disappointed if you chose Care-A-Lot.